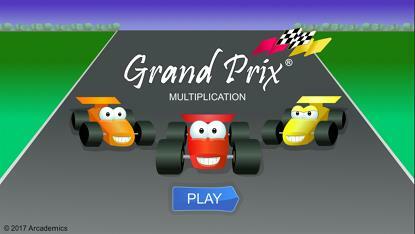 Grand Prix Multiplication -- Choose your race car! 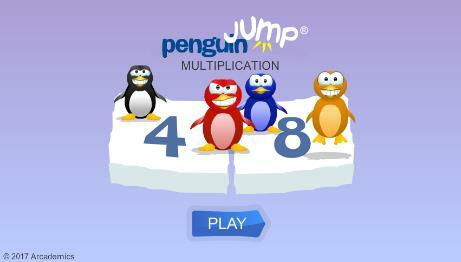 Penguin Jump -- Race against player penguins! 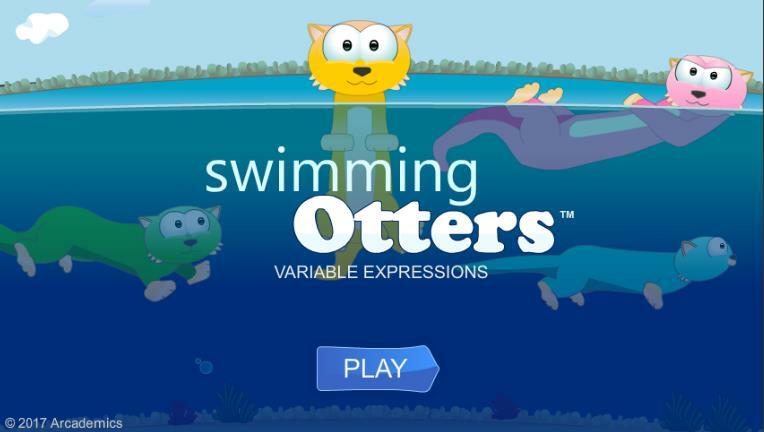 Swimming Otters -- Race your otter against others to solve missing factor problems! 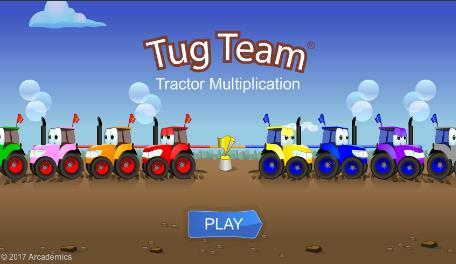 Tug Team Tractor Pull -- Help your team beat another team! 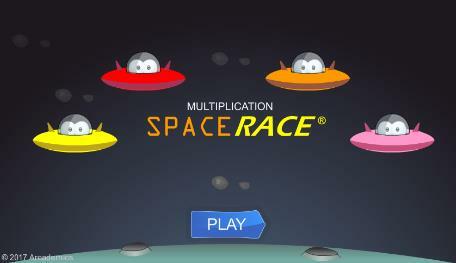 Space Race -- Race against aliens! 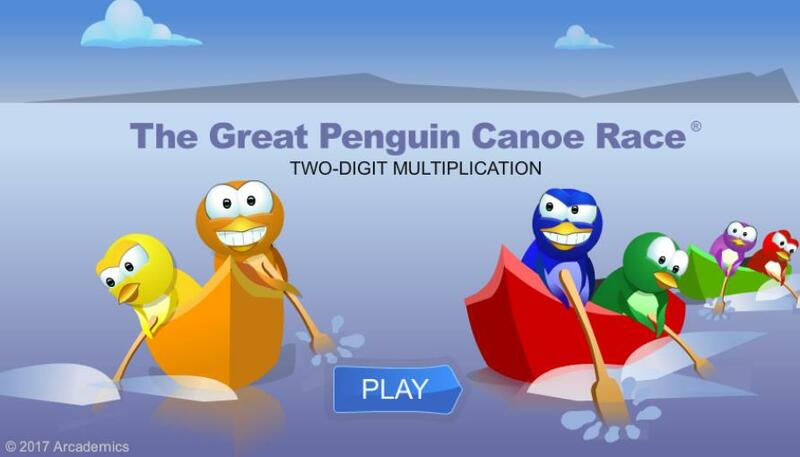 Great Penguin Canoe Race -- Two-Digit Multiplication -- Use your estimation skills! 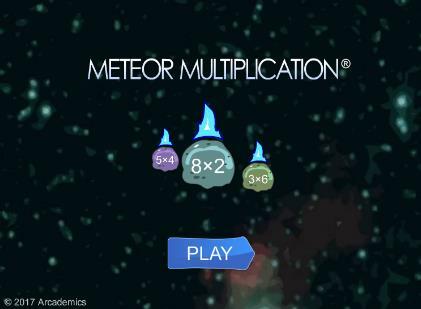 Meteor Multiplication -- Blast meteors out of the sky! 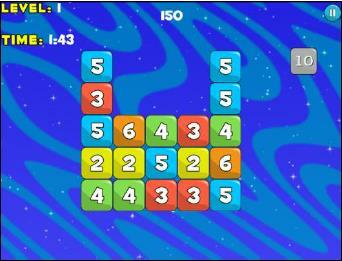 Multiplication Blocks -- Find the factors to blast away the target number. 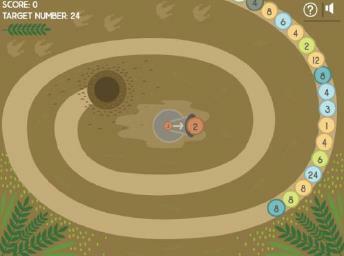 Number Trails -- Create a trail of factors. How many can you find? 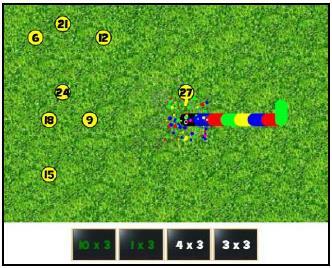 Multiplication Snake -- Make your snake grow longer with each number it eats. 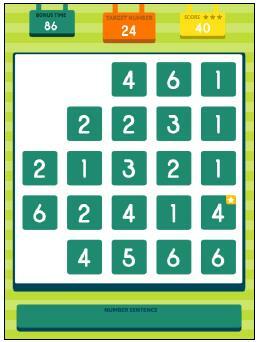 Math Lines -- Practice facts for a certain number. 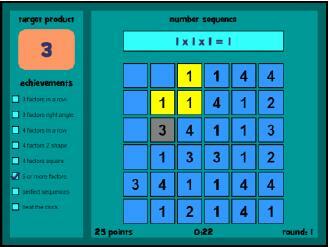 Clear It -- Create a number sequence that hits a target number. 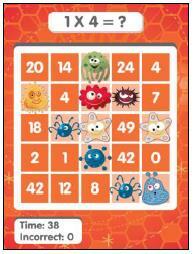 Math Bingo -- Solve problems to get Bingo! 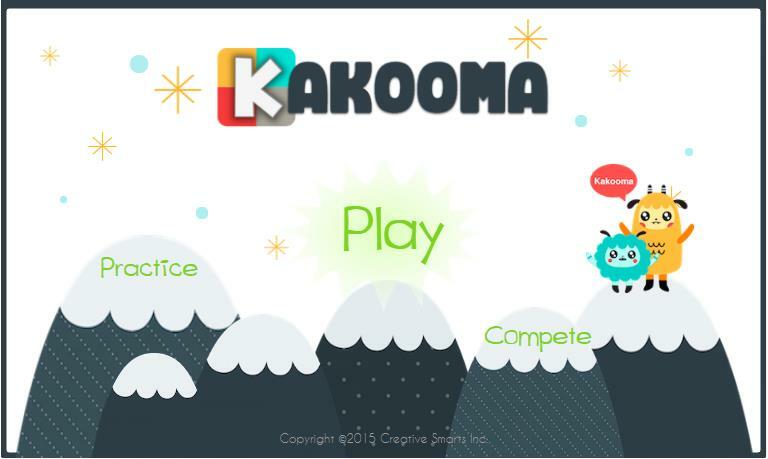 Kakooma -- Solve multiplication puzzles. They can get very difficult! 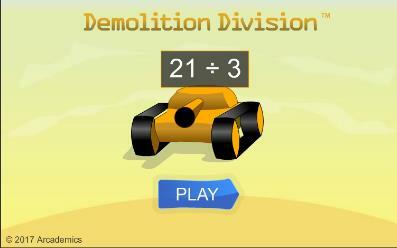 Demolition Division -- Blast the tanks with your cannon! 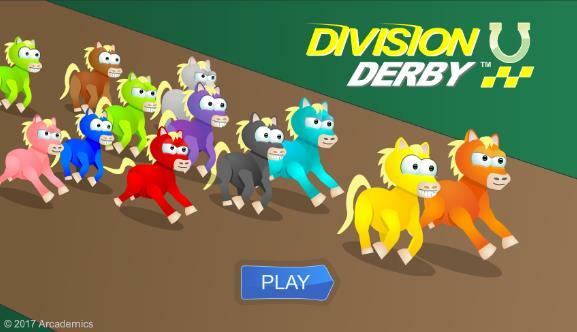 Division Derby -- Race your horse against others! 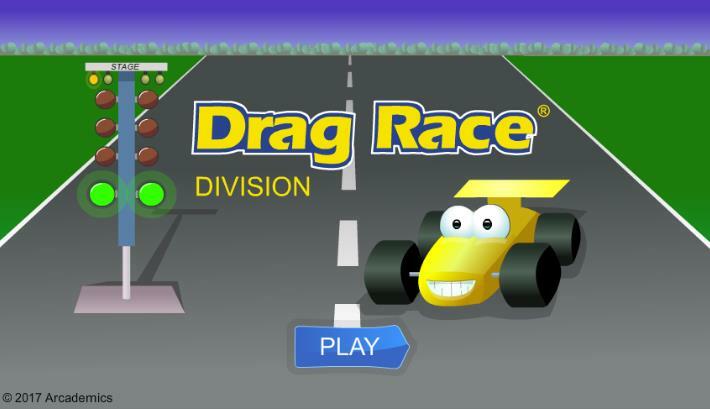 Drag Race -- Race your car against others! 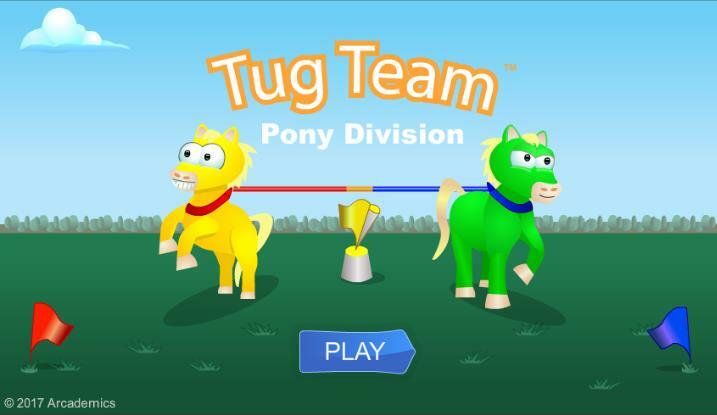 Tug Team Pony Division -- Your pony plays tug-of-war with another pony!